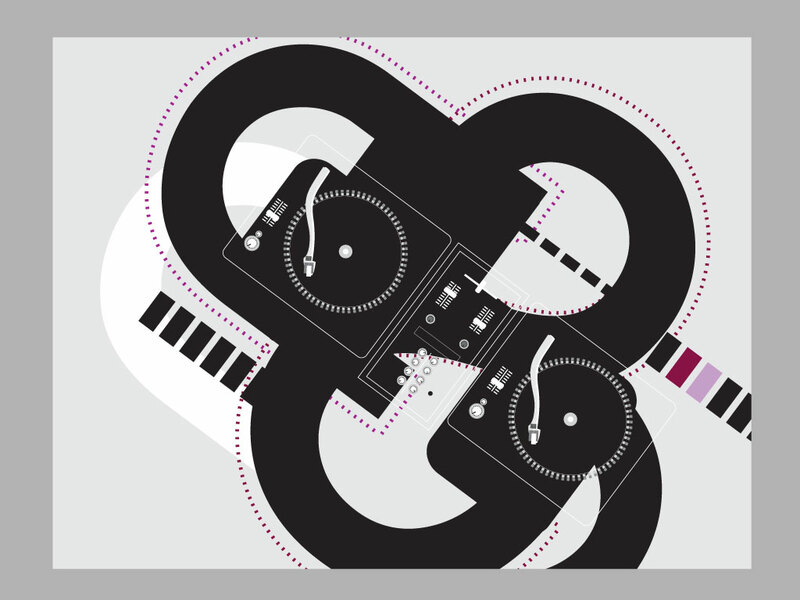 This turntable background is ideal for a club or music flyer or poster. Great vector graphics for your hip hop and night life themed projects. Download as AI and PDF for your collection. Tags: Audio, Dj, Lp, Music, Record, Scratching, Stereo, Turntable, Vinyl.